A warm day today. It started out cloudy and cleared up quite a bit by noon. A few clouds drifted in and out during the afternoon. All in all, a good day. This morning we explored the Cabot Trail south of Cheticamp. 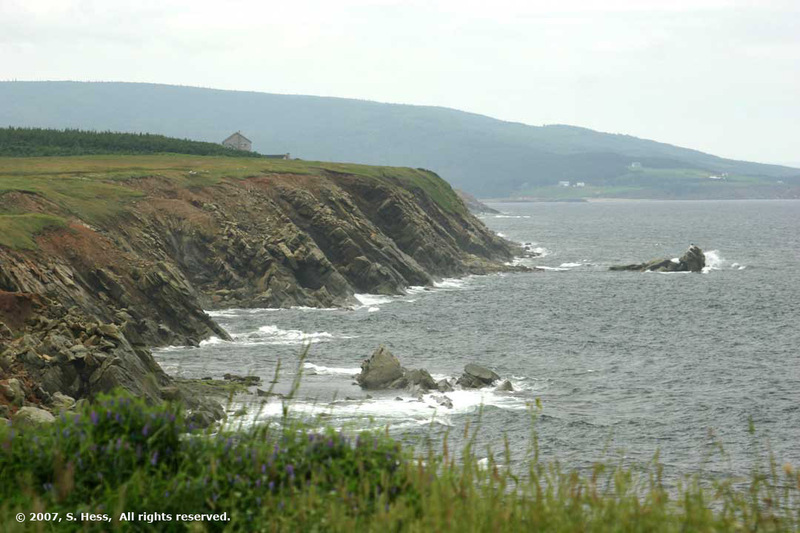 We drove south to Margaree and then explored some of the side roads off the Cabot Trail. Margaree Harbor turned out to be a small fishing village on a dead end road that wasn’t particularly photogenic. As we drove into the town, there were two girls with a stand in front of their house selling bracelets. I don’t know who they expected to sell to since the road ended 100 yards from their driveway… they obviously don’t get much traffic. I guess they figured that they have two chances to catch tourists like us. Another side road took us to Margaree Valley and Egypt Road ( a town name… not the road name). From what we saw, these areas are partially agricultural and they probably also have some logging operations although we did not see any logging trucks on the back roads. These communities and others in the area appear to have a major focus on tourism. 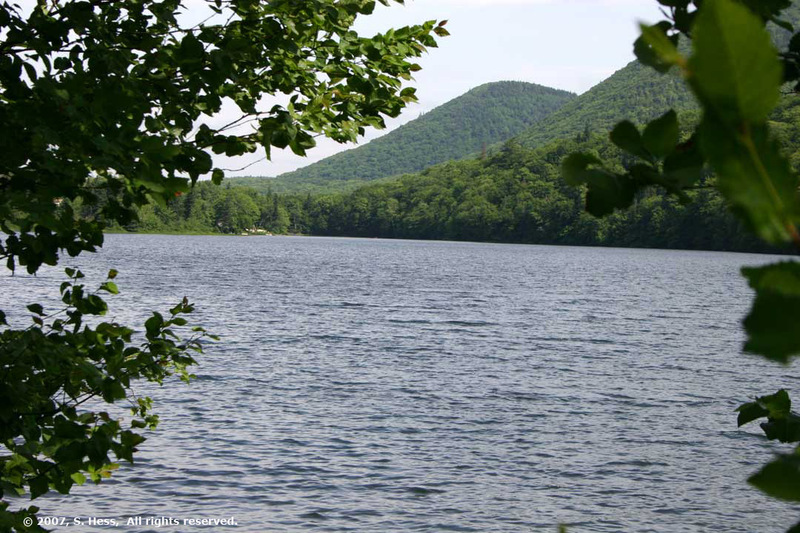 There are numerous hiking trails and lots of fishing streams off these roads. We saw plenty of fishermen in the streams. 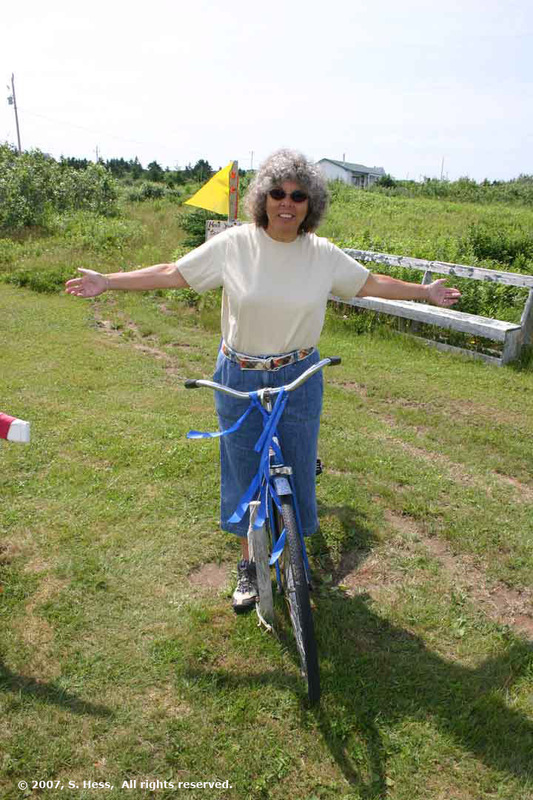 We turned back towards Cheticamp a little before reaching the town of Baddeck, which we will visit from our next campground. 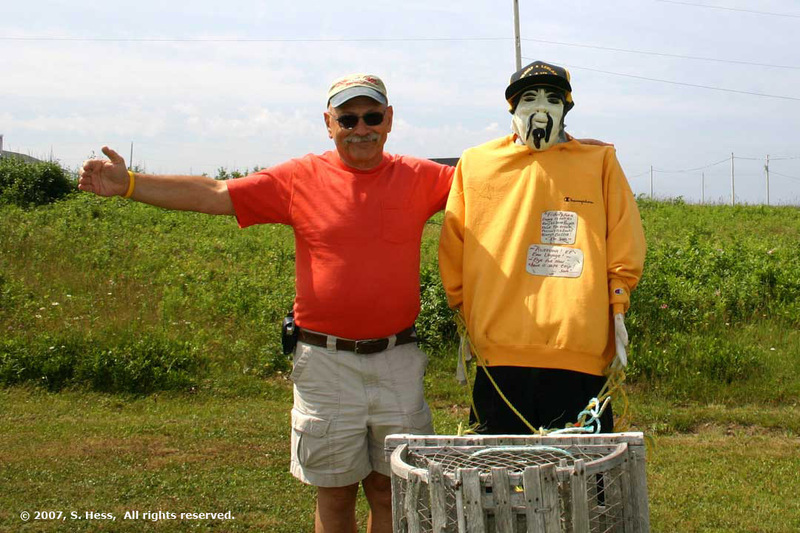 On the way back, we also stopped at a place called “Joe’s Scarecrows”. 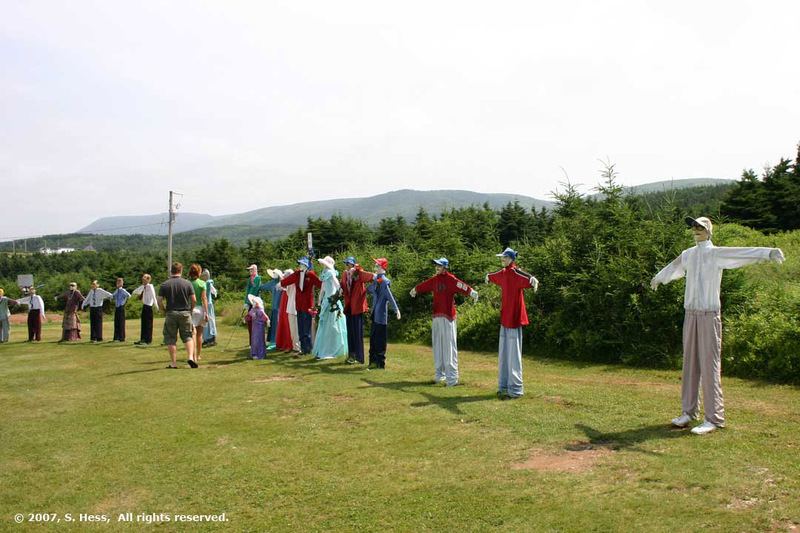 The only word that describes this place is “weird.” We did, as good tourists, take a few pictures with the scarecrows. This afternoon was for whale watching. We had booked a trip with Captain Zodiac in Cheticamp. 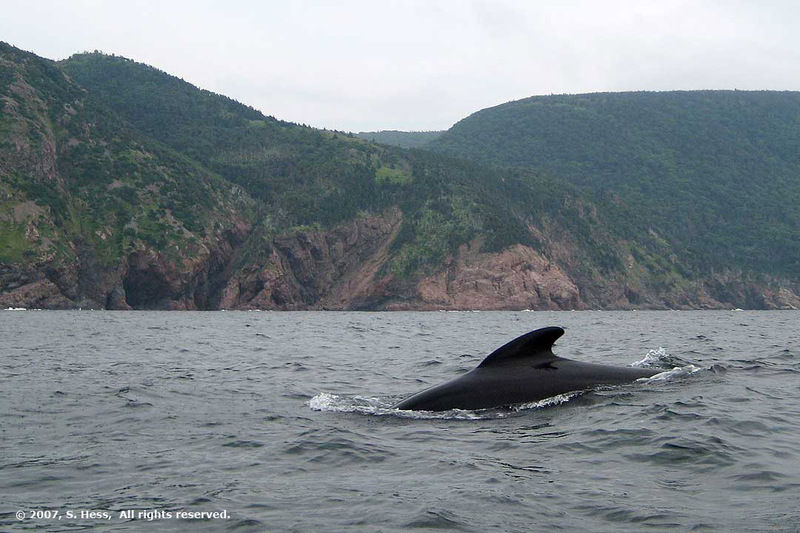 The trip took us into the Gulf of St. Lawrence, about 12 miles north of Cheticamp Harbor. Unlike some of the other whale watching tour operators, he uses Zodiacs, small boat with inflatable collars that can go across the water at high speed. 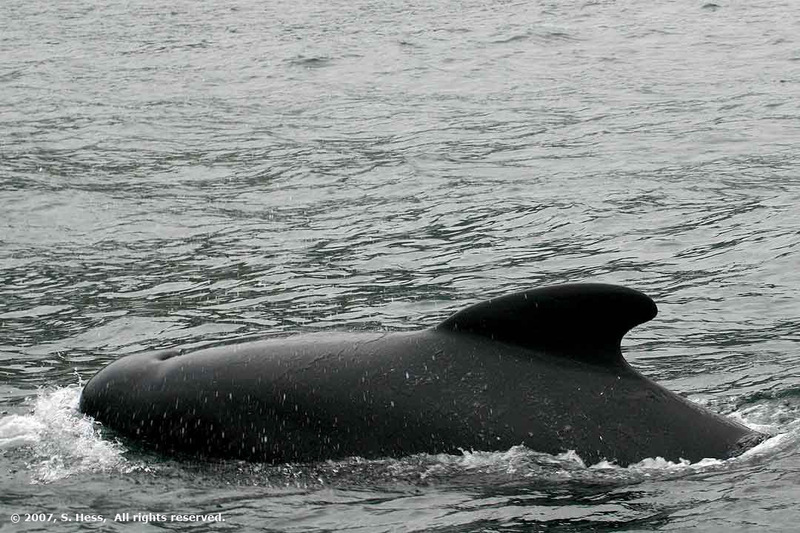 The other advantage of the Zodiacs is that they are more maneuverable and get in closer to the whales. Boy did we get close to the whales. 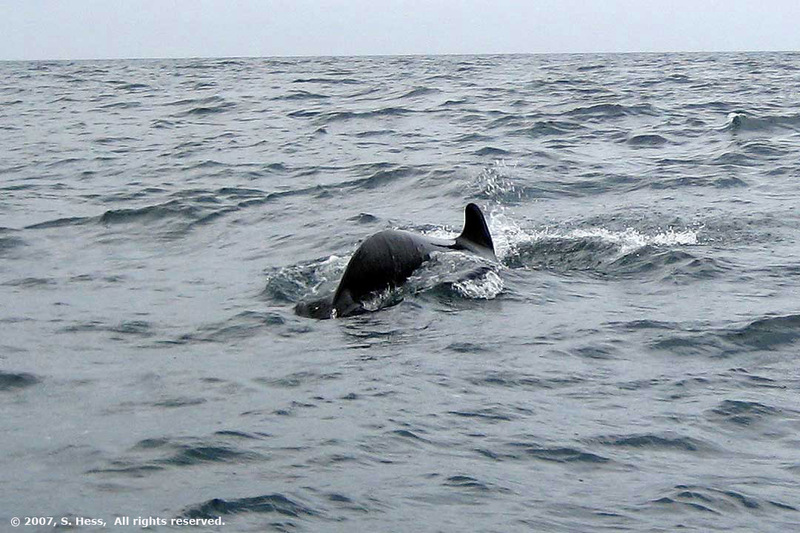 We encountered several families of Pilot Whales. 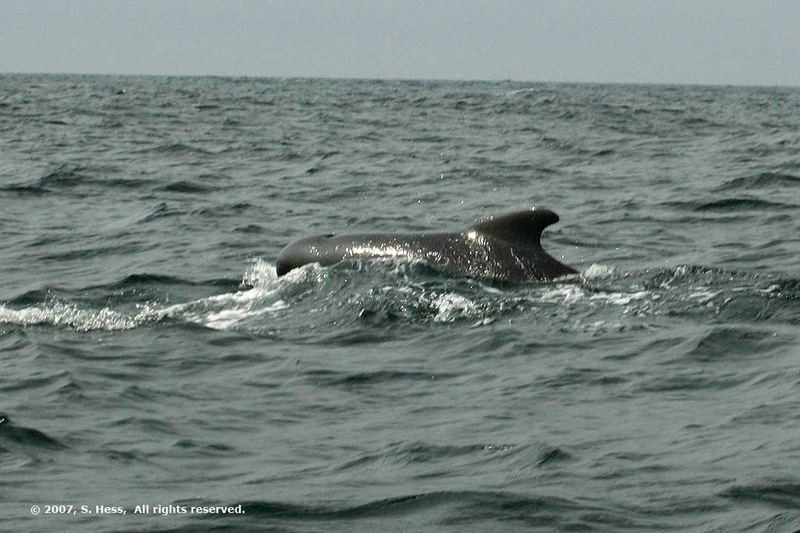 These are small whales, black in color, that look like porpoises on steroids. 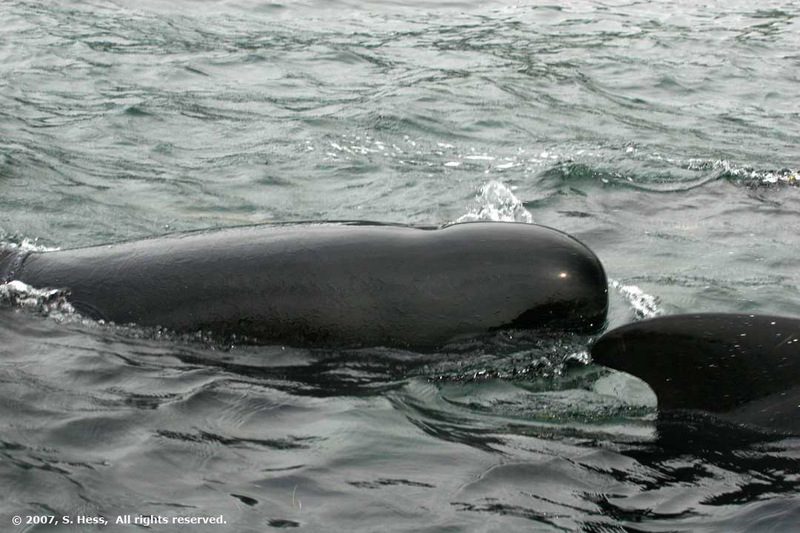 In the family groups were several mothers and their calves. One of the problems with photographing these whales is that you never know where they will pop up. 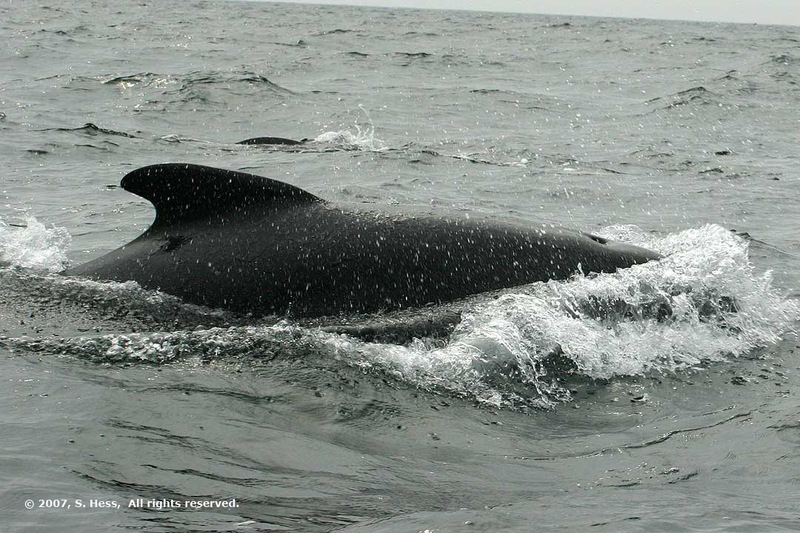 By the time you react to their appearance, you wind up with a shot of their dorsal fin or tail. I had figured that we wouldn’t get too close to the whales and was using my telephoto lens. That turned out to be a mistake because the whales were so close, the lens could not capture the whole whale. In order to capture some decent shots, I was using the camera’s burst mode where I was squeezing off 4-5 shots at a time. Between us we had about 100 shots of whales... or should I say shots of water and parts of whales. Some of these shots were good enough to publish (see below). 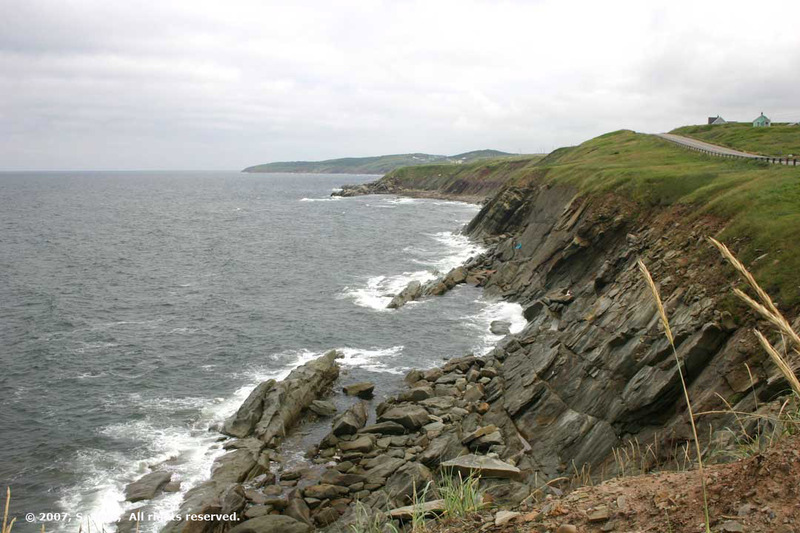 Coastline south of Cheticamp. View to the north on the left an view to south on the right.